It seems to happen all the time. You wash your car or truck only to see it get dirty again within just a few days. That said, wouldn’t it be helpful to know the most common causes of damage to your vehicle’s paint? This one is especially prevalent in Colorado. 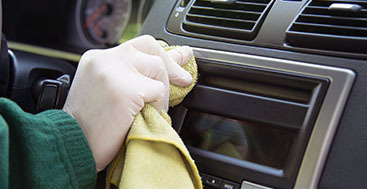 Basically, the more your car is exposed to drastic temperature swings, the more its paint will expand and contract. This constant movement will eventually lead to small cracks and openings that allow salt, moisture, and chemicals to get in and cause the paint to rust. These seem like perfectly acceptable items to be used for messages or drawings on the windows of a vehicle. What many people don’t realize, though, is that both shoe polish and shaving cream are an absolute nightmare to remove. Not to mention, these substances will surely leave permanent marks. Think about where you live and work for a moment. Are you at all near a construction area? If so, you run the risk of dust and wet concrete landing on your vehicle. Should an accident like this happens and the concrete sets in place, you will be tasked with getting rid of some pretty prominent marks. This should sound familiar — you head out to your car after work only to find a giant bird dropping (or two) splattered on the hood. Sure, droppings are a grotesque eyesore for any vehicle, whether it’s old or new. But there’s more to it than this. Bird droppings contain chemicals that erode paint and expose underlying layers. So the longer you wait to remove this mess, the more difficult and costly it will be. Maybe you’re wondering, “Why are sharp objects on this list?” Well, if you’ve ever had your car keyed, you know the level of damage sharp objects can cause. 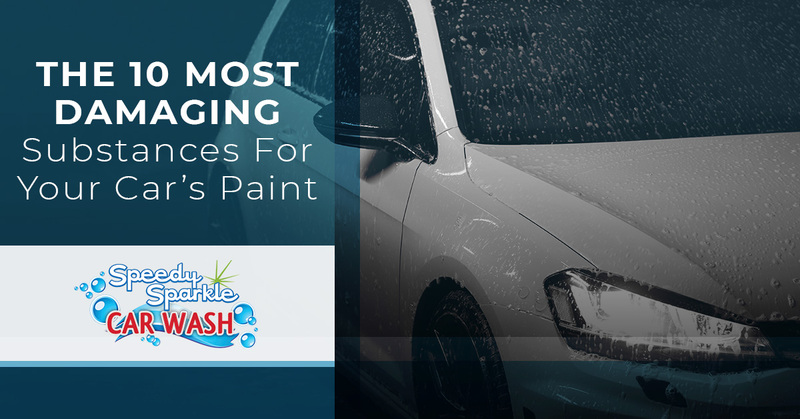 Other objects such as razor blades, scissors, and knives will also do quite the number on your vehicle’s paint. The Northern Colorado commute tends to be dicey, but especially if you’re on a highway at some point or another. Surely there have been times when you’re either behind or next to a semi-truck that kicks rocks and stones up in the air. Now picture the moment those rocks come in contact with your vehicle at a high speed. Hello, paint chips and scratches. 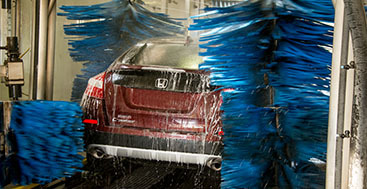 Many drivers take pride in washing their own vehicle. If you’re included in this group, don’t make the mistake of using just any cleaner such as detergent or soap. Instead, stick to products that are intended for cars and trucks only. You might not think so, but generic cleaners do more harm than good to your vehicle’s paint job. Raise your hand if you run your vehicle through the automatic car wash every so often. Here’s the thing: If you simply drive off without wiping down your car or truck thoroughly, you’re allowing water spots to accumulate and cause potential damage to the paint. So even if you don’t have much time, at least take a minute or two to wipe away any moisture. As we’ve mentioned in previous posts, magnesium chloride is used to create a lower freezing temperature on surfaces, leading to less ice and safer conditions for drivers. However, because road salt is corrosive, it can eat through your vehicle’s paint over time. This is why we recommend getting a car wash regularly, especially during the winter. The amount of mag chloride that accumulates can also cause rust on your undercarriage. This is one that often gets forgotten. If you park under a tree at work or at home, you may not even realize that sap is dripping onto the paint and potentially stripping away your car’s exterior protective surface layer. 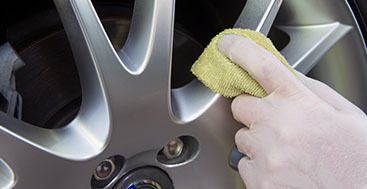 Your best bet for removing sap is taking your ride to a full-service car wash and auto detailing center. At Speedy Sparkle Car Wash in Loveland, we understand your vehicle must withstand against all sorts of elements, including Mother Nature. That’s why our team offers various services such as exterior and deluxe washes. Why bother going to a car wash that fails to live up to your expectations? 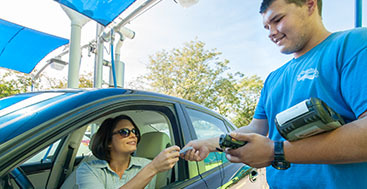 Speedy Sparkle is the only car wash in Northern Colorado that offers a three-day clean car satisfaction guarantee. Stop by Speedy Sparkle today and let us make your car look showroom-fresh.